If one were to scour the bars of downtown Austin last year, 2014’s election would have sounded like the big one, the year when Texas Democrats would show they were truly a force to be reckoned with. At the very least, the year they continue what had been incremental progress toward competitiveness. Of course, that did not happen, as the Democratic gubernatorial nominee lost by more than any of her predecessors in this century. But to characterize this year merely as one of Democratic failure would be a gross oversimplification, and would ignore the impressive independent successes of Republican campaigns this year. Long chastised as technologically backwater, Republicans closed the digital gaps all around the country, but especially so within Texas. Governor-elect Greg Abbott’s campaign in particular functioned as a well-oiled machine. Lamented by many as politically untested, Abbott was cautious and — for the most part — outwardly reasonable on the campaign trail (despite whatever far-right position he espoused away from television cameras). However, caution did not permeate the entire ticket. Specifically, Lieutenant Governor-elect Dan Patrick appeared content to continue the ultra-conservative, divisive rhetoric he used to win the Republican primary, reiterating it without shame throughout the general election. In the end, he only won by marginally less than Abbott, despite such a very different strategy. Patrick, more than anyone else, embodies the current realities of Texas politics; the state is controlled, with an iron fist, by the few percent that bother to vote in Republican primaries. And Patrick echoes their voice louder and with more certainty than any of his colleagues. Historically, lieutenant governor has been the most powerful position in the state, even more than the governor. The roles have only been reversed for the best decade or so because of a uniquely audacious governor and a strangely milquetoast lieutenant governor. But Patrick, previously a State Senator with no adversity to controversy, does not have a single timid bone in his body. Since being elected, Patrick has exhibited no signs of slowing down his charge to change the state. He has already begun holding hearings on education matters, and a radical restructuring of the system — likely involving the extensive use of charter schools and vouchers — looks slated for the next session. With Patrick holding almost despotic power over the upper chamber, his word will carry more weight than just about anyone else. As an editorial board, we aren’t much for Patrick’s extreme political positions. Be it education reform, guns, immigration reform or environmental factors, we disagree with him quite strongly and repudiate many, if not most, of his tactics. Throughout both his lengthy primary campaign against incumbent David Dewhurst as well as Land Commissioner Jerry Patterson & Agriculture Commissioner Todd Staples and general election campaign, Patrick demonstrated a working unfamiliarity with telling the truth, which earned him the honorific of “pathological liar” from one such opponent (Patterson). We endorsed his Democratic rival for lieutenant governor earlier this year in about the strongest way we knew how civilly. But one would have to be delusional to deny the huge impact that Patrick already has, and will continue to have, on Texas politics. His defeat of Dewhurst, simultaneous with similar primary battles for Attorney General and Agriculture Commissioner, signaled a transition for control of the Texas Republican Party (and, in effect, the State of Texas). Make no mistake, the Tea Party is not a faction within the party, there are the party; and Patrick is their prince. In the next session of the legislature, Abbott may very well play it safe and push a rather non-controversial agenda from a technocratic point of view. But no one expects Patrick to do the same. If/when the legislature passes big measures such as so-called “School Choice,” “Open Carry,” “Campus Carry,” and the end of concepts castigated as “Sanctuary Cities” or the “Texas DREAM Act,” we will have Patrick to thank/curse for it. He will quickly and hugely make his mark on Texas. 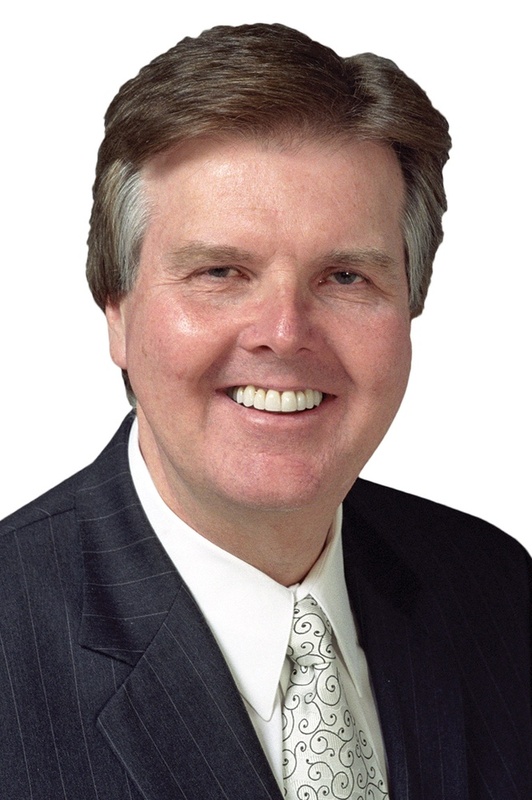 Accordingly, we denote Dan Patrick as our Texpatriate 2014 Person of the Year. Previous recipients include ANNISE PARKER (2013), LANE LEWIS (2012), ANDREW BURKS (2011), THE HOUSTON MUNICIPAL EMPLOYEE (2010) and ANNISE PARKER (2009). Criteria for recipients has changed over the years. The Texpatriate Editorial Board is comprised of George Bailey of Boston, Noah M. Horwitz of Austin and Andrew Scott Romo of New Orleans. Editorials comprise a majority opinion of the board. The Texas Tribune reports that Agriculture Commissioner Todd Staples, who was slated to leave office in January at the conclusion of his second term, will resign his post early to become the President of the Texas Oil & Gas Association, the statewide trade association of the burgeoning energy industry. Staples, a Republican who has extensive ties to both ranching and the oil industry, reportedly will be in place before the commencement of the 84th Legislature, prompting an exit from his position before the end of his term, at the beginning of next year. Staples, who has served in both chambers of the Texas Legislature, took office in 2007 and has served for the two terms since. Overall, I would say he was done an adequate job as Agriculture Commissioner, but his tenure still leaves plenty to be desired. A few years ago, he revealed his intention to run for Lieutenant Governor, back when incumbent David Dewhurst was considered a shoe-in to be Texas’ next Senator. Of course, Ted Cruz came out on top in the Senate election, so Dewhurst ended up running for re-election as Lieutenant Governor. Still, Staples (as well as Land Commissioner Jerry Patterson) soldiered on anyways with his candidacy. That primary ended up being one by none of them, but by State Senator Dan Patrick (R-Harris County), a late entrant into the campaign. All this is to say that Staples, who has held a six-figure government job for eight years, would be unemployed come January. In remarks sent out to the press, Staples confirmed that he would be resigning within the next two months, but stayed away from any specific. He’ll likely call it quits in short order after the November election. He insinuated that the Deputy Commissioner, Drew DeBerry, will act as Commissioner in the interim between then and January, when a new Commissioner would have taken over anyways following a regularly scheduled election. Former State Representative Sid Miller (R-Erath County), the Republican nominee, is almost beyond the shadow of a doubt assured victory. He only faces the ghost Jim Hogan as his Democratic opponent, as well as fringe party opposition. While many in the political intelligentsia (including myself) will end up voting for the latter, namely Green nominee Kenneth Kendrick, the general public will be unmoved and Miller will be the new Commissioner undoubtedly come January. Accordingly, Rocky Palmquist –the Libertarian nominee for the post– opined that Governor Rick Perry would appoint Miller in the interim, a dubious claim that was quickly debunked. For all my political troubles with Staples, he always struck me as an easygoing and nice guy, and I wish him luck in his future endeavors. Particularly, I always loved that ad of him riding around on a horse, explaining all the duties of the Agriculture Commissioner. All other things being equal, it’s a pretty detailed and accurate picture of what the Agriculture Commissioner does. The Texas Tribune reports that the two losing candidates in the Republican primary for Lieutenant Governor, Land Commissioner Jerry Patterson and Agriculture Commissioner Todd Staples, have some choice words about the fellow candidates who ascended into a runoff election. Both, of course, have previously stated that they are not fans of State Senator Dan Patrick (R-Harris County), the Tea Party firebrand who finished with a clear advantage in the preliminary election. Staples said that he would not be endorsing anyone in the runoff, though his previous statements have surely been much more critical of Patrick than incumbent Lieutenant Governor David Dewhurst, who is in the runoff with Patrick. These comments come amid a shadow campaign that is in the works to compel Dewhurst to drop out ahead of a deadline tomorrow to remove one’s name from the runoff ballot. Similar efforts are afoot to get State Representative Dan Branch (R-Dallas County), the second place candidate in the Republican primary for Attorney General, to step aside. They have already been successful efforts dissuading State Representative Harvey Hilderbran (R-Kerr County), the second place candidate in the Republican primary for Comptroller, from continuing in the runoff election. Click here to read what Patterson said of his opponents! The Texas Agriculture Commissioner is a powerful, Statewide elected position that traces its roots back over 100 years ago. During the era of Democratic dominance, the office was occupied by larger-than-life men who became national figures. There was James McDonald, a bitterly conservative Democrat who fought with Franklin Roosevelt over crop subsidies. He served for twenty years until a 25 year old man named John White defeated him and held the office himself for twenty-six years. White, a liberal, would later go on to serve as President Carter’s deputy Secretary of Agriculture as well as Chairman of the Democratic National Committee. Then, of course, there was Jim Hightower, a folk hero of the left who held the office for close to a decade. Since Republicans first took over the office, however, it has been career politicians most prevalent in this post. Rick Perry, then a State Representative, unseated Hightower in 1990. He was succeeded in 1998 by Susan Combs, the incumbent Comptroller, who was –in turn– succeeded by Todd Staples in 2006, the incumbent. In the race to succeed Staples, it is the career politicians who finished best. Sid Miller and Tommy Merritt, two fiercely conservative former State Representatives, finished first and second, respectively. They will therefore advance into a runoff election in May. Two other conservative activists, Joe Cotten and Eric Opiela, also finished strong, while J Allen Carnes, the Mayor of Uvalde and a self-described pragmatist, finished dead last. Click here to view the map and more analysis! The runoff was perhaps the biggest surprise of the night, with State Senator Dan Patrick outperforming incumbent Lieutenant Governor David Dewhurst 2-to-1 in the preliminary Republican primary for the post. The two will advance to a May runoff election, eliminating both Agriculture Commissioner Todd Staples and Land Commissioner Jerry Patterson. Most political prognosticators (including, unfortunately, myself) thought the roles would be largely reversed, with Dewhurst receiving 40%+ and Patrick holding about a twenty point deficit. Further, the Texas Tribune reports on a developing story surrounding pressures placed on second-place candidates to drop out, thus eliminating the need for a runoff election. The effort has already been successful on one front, with State Representative Harvey Hilderbran dropping out in his bid for Comptroller, thus assuring victory to the huge frontrunner, State Senator Glenn Hegar. Similarly, on the Lieutenant Governor’s side, Dewhurst has some huge ground he must make up if he actually plans on remaining competitive. Finishing with barely over 20% of the vote in a race for re-election is a very pitiful end of a political career, but his possible fate in the runoff could spell even more misery. Click here to view another map! In the early 1980s, an undocumented immigrant named Mike Andrade began working at a Houston sports bar owned by local businessman Dan Patrick. Andrade said his new boss was kind and understanding regarding his legal status, and even offered to assist him in applying for permanent residency. After Andrade’s mother fell ill, Andrade said Patrick offered to smuggle him home and back for a visit. Roughly three decades later, a lot has changed. The owner of that bar has become a member of the state Senate and is a leading candidate in the Republican primary for lieutenant governor. Arguably one of the most conservative politicians in the state, Patrick has employed viciously anti-immigrant tactics throughout his campaign. In both campaign commercials and the televised debate for the lieutenant governor candidates, he has not been shy about using the incendiary term “invasion” to describe migration from Latin America into this state. However, Patrick is not the only individual whose last three decades should be scrutinized. What happened to Andrade, the undocumented immigrant working in Patrick’s bar? Andrade, who has now lived here for 34 years, became a naturalized citizen in the early 1990s. Shortly thereafter, he got married and had five children, the oldest of whom valiantly serves his country in the U.S. military. The rest of the Andrades live in a house in the suburbs of Houston. Perhaps it is just me, but that sounds a lot like the American dream, and it sounds like Andrade has become a model citizen. PLEASE SEE THE REST OF THIS COLUMN IN THE DAILY TEXAN! The Texas Tribune reports that Federal Judge in San Antonio has struck down Texas’ constitutional ban on gay marriage. The decision, written by Judge Orlando Garcia (an appointee of President Clinton), found the provision inconsistent with the 14th Amendment of the Constitution, which mandates equal protection and due process under law. Judge Garcia has served on the Federal Judiciary since 1994, and previously served both as a Justice on the State Court of Appeals (1991 to 1994) and as a member of the Texas House of Representatives (1983 to 1991). Both were elected offices he held as a Democrat. Judge Garcia also stayed his own ruling, pending appeal. Attorney General Greg Abbott, one of the key defendants in this case, released a somewhat brief statement on the subject, wherein he declared his intention to appeal the case to the Federal Appeals Court. Of note is just how lightly Attorney General Abbott tread on the subject. Among his quotes were that there were “good, well meaning people” on either side of the issue. In my opinion, that was the most telling tidbit on the subject, to see hard-right Republicans such as Abbott realize and accept the inevitable, that this issue is not going away.